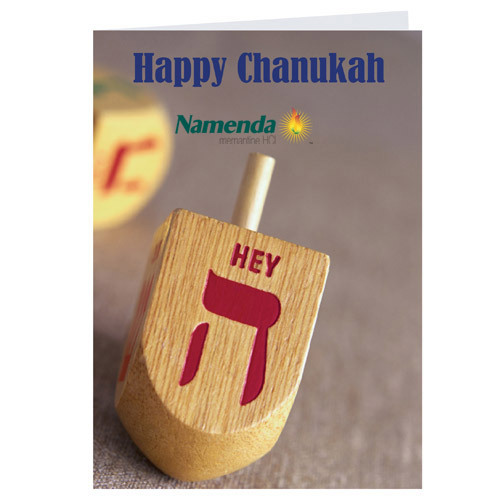 Hanukkah Cards or Chanukah Cards, celebrate the holiday with customers, family and friends. 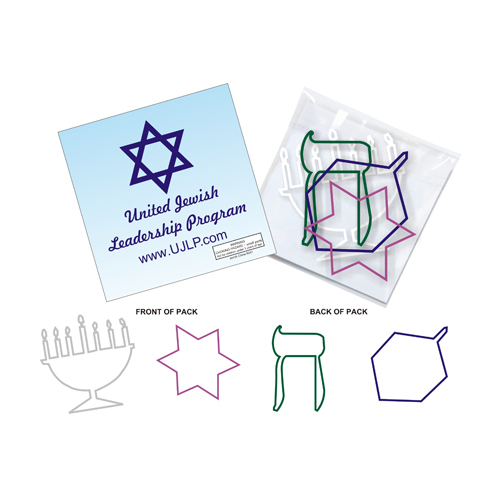 Promotional Hanukkah Card with your Logo to show you company cares. Custom Hanukkah Cards designed with menorahs and dreidels too! Celebrate the tradition of friendship, the beauty of the season with custom Hanukkah Cards. Hanukkah is a Jewish holiday celebrated for eight days and nights. It starts on the 25th of the Jewish month of Kislev, which coincides with late November-late December on the secular calendar. In Hebrew, the word Hanukkah means dedication The name reminds us that this holiday commemorates the re-dedication of the holy Temple in Jerusalem following the Jewish victory over the Syrian-Greeks in 165 B.C.E. Celebrate the spirit of Hanukkah with friends, family with custom Hanukkah cards.